Rejoice with me; I have found my lost sheep. “I need to get away for a while.” Eveliina held her breath. If Joel said no, she’d go anyway. She’d resign. She’d break up with him. Whatever it took to bring a little peace and quiet to her harried life. “But you just got back from Vaasa.” Joel crossed his arms and leaned back in his leather chair. His eyes swept over her, and Eveliina hoped she didn’t look as frazzled as she felt. She sighed as she looked down and kicked the floor with the toe of her shoe. “I know.” She raised her gaze in time to glimpse Joel’s clenched jaw before his troubled look faded. He slid his hands into his trouser pockets and slowly walked toward her. She didn’t dislike them—they just made her nervous. And when she got nervous, her stress level rose. Then the relentless pounding in her head would begin. Instinctively, she rubbed her left temple and shrugged. Joel’s fingers brushed her cheek before tucking her hair behind her ear. Eveliina hated it when he did that. Not only was it uncomfortable, but she loathed exposing her ears. She found them too small, and they didn’t sit as close to her head as she would have liked. “Where are you going?” His question was filled with the usual possessiveness that accompanied anything to do with her. His eyes narrowed, his tone was controlling. He’d tried to hide it, but failed. “Lapland?” Disappointment shadowed his question. A sigh escaped. What part of ‘time out’ did he not understand? In far too many ways, Adam Carter should have been better prepared for this mission, but he’d been busy saving souls back home in rural Africa. And everything had happened so fast. 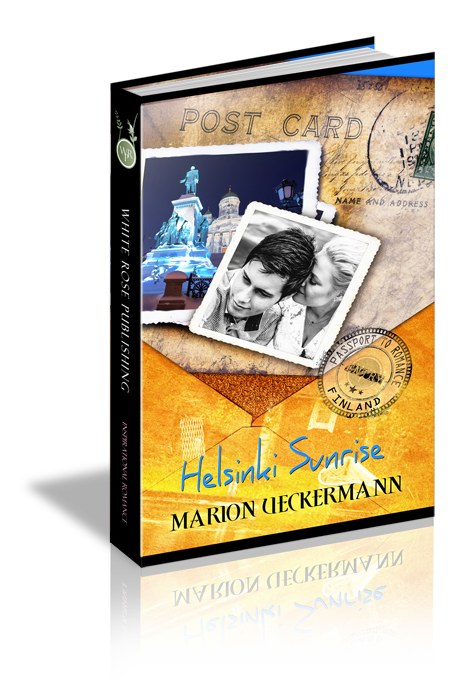 The call from his Finnish friend, Mikko Mikkola, came as a surprise—the command from God to go, totally unexpected. That’s why these three weeks of seclusion at this cottage were so important. Going into battle was never easy; wrestling against the forces of darkness, the hardest of fights. He needed this time alone with God—to fast, to pray, to connect with heaven. Nothing could disturb him out here on this little island. Thankful he’d kept the sleeping mask from his Johannesburg-to-Helsinki flight earlier that week, he pulled the dark fabric over his eyes. If I don’t get some shut-eye tonight, I’m moving my mattress into the sauna. At least that small room is darker than this cottage. I won’t survive another sleep-deprived night. It was one thing going without food, and coffee, and his cellphone—those niceties that made life pleasurable—but no sleep? Fluffing the feather pillow, he sank back into its softness. Suddenly, his chuckle filled the air. “Land of the midnight sun…now it makes perfect sense.” At least the long days would be great for missions, but he’d miss the African nights with their extra hours of darkness. Adam loved his sleep. The thought of hibernating like a bear come winter was sorely tempting. If he could just figure out how to lower the blinds, his light problem would fade. But remote-controlled gadgets didn’t work without remotes, and Adam had searched the small one-bedroom cottage for the device. There wasn’t one, and Mikko was hours away, somewhere in the middle of Finland in a town Adam couldn’t pronounce, making preparations for the School of Intercession. Mikko had dropped him off on the banks of Lake Sahajärvi two days ago, popped him in a boat, and steered him in the direction of the small piece of land some two hundred feet off shore. “You can’t miss the house, Adam. It’s the only one on the island.” Mikko laughed as he walked back to his car. “I’ll see you in three weeks,” he shouted. Adam remembered his reluctance. His work in Zambia had just started to bear fruit. Still he prayed, as he promised Mikko he would. God’s answer was swift and specific. Ten days later, he picked up his visa at the Finnish Embassy in Pretoria and headed to the airport. He didn’t understand why God wanted him on the other side of the world, and in such a hurry, but he obeyed. Much at the Mikkolas’ summer cottage was akin to the African villages he’d lived in for the past four years. Bathing happened in the lake. He drew his water from a well, and filtered it through a muslin cloth. Dinner, once his fast was broken, would certainly come from the surrounding waters. Already he’d seen some whoppers jump. Probably pike. The small outdoor toilet at the edge of the trees reminded him most of his former surrounds. Thankfully, it wasn’t crude like the ones he’d been accustomed to, but neither was there the luxury of a flush system. Electricity came in small amounts daily by means of a single solar panel. Not that Adam needed it—eleven in the evening was as light as four in the afternoon on an African summer’s day. So, with the lack of modern conveniences, Adam found it most strange that the blinds were motorized. A mosquito buzzed around his head, as inconvenient and annoying as the blinds he couldn’t close. He swatted, and his hand hit its tiny target. But it didn’t take long to hear the steady high-pitched noise once more. Over and over. This barrage was another thing he hadn’t expected in Finland. Didn’t Africa have dibs on mozzies? Between the elements of nature, Adam wouldn’t get much sleep…again. And no sleep always made him grumpy. Question 1: What was Adam Carter's greatest spiritual attribute? Answer 1: He was a great prayer warrior. Question 2: Why did Mikko want Adam to come to Finland? Answer 2: To teach the Finns more about powerful, effective prayer. Question 3: Why was Adam spending time at the summer cottage alone? Answer 3: To fast and pray for his mission in Finland. Question 4: Why did Eveliina dislike missionaries? Answer 4: Because she'd turned her back on God when her parents were killed in a plane crash whilst away on a missions trip. Question 5: How did Eveliina intend to make Adam leave the island and what did she use? Answer 5: By tempting him to break his fast with the Blueberry pie she baked. Question 6: How had Eveliina and Mikko handled their parentsâ€™ deaths differently? Answer 6: Eveliina had run from God; Mikko had held on tighter to the nail-scarred hands. Question 7: What did Adam use to tie the canoe? Answer 7: His dirty shoelace. Question 8: How did Adam get injured? Answer 8: He fell off a ladder while painting the cottage and struck his head on a rock. Question 9: What book in Scripture did God use to speak to Eveliinaâ€™s heart? Question 10: What did Eveliina give to Adam on the jetty after their dinner? Answer 10: An oil painting on a stretched canvas of Adam on the jetty backdropped by a purple sunset.